Posted on March 16, 2016 by Hillary T.
When Mass Audubon was first founded in 1896, its original purpose was to discourage the buying and wearing of feathers of any wild birds. 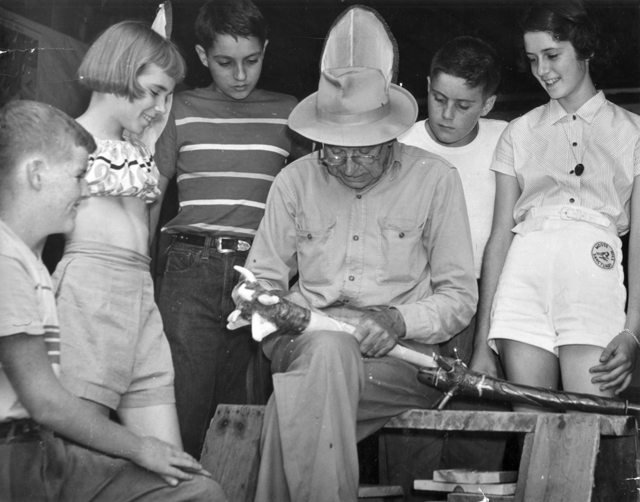 It quickly became not only the leading force in the protection of birds but also the predominant resource for educating the public about birds. This was accomplished through a series of lectures, calendars, and bulletins. But it wasn’t until 1916, when Dr. George W. Field offered Mass Audubon the use of his estate in Sharon as a bird sanctuary that Mass Audubon had a “living laboratory”, a place to connect people with birds in their natural environment. And pilgrimage they did. By 1920, 2,600 visitors came to Moose Hill, representing 23 states as well as Canada, Cuba, Japan and England. 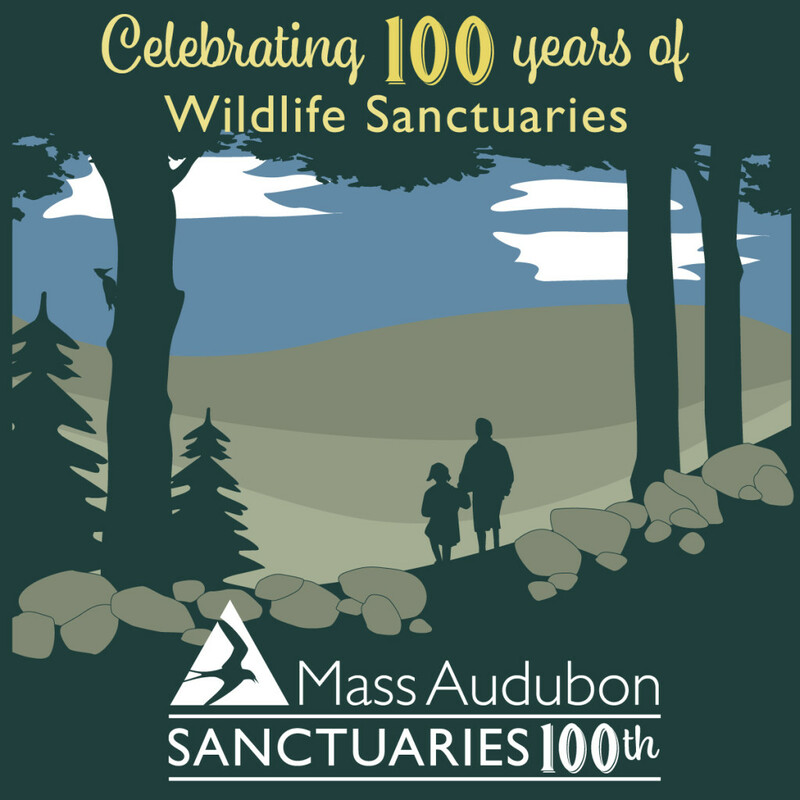 Fast forward 100 years, and Mass Audubon welcomes some 500,000 visitors to 56 of our 100 wildlife sanctuaries each year. 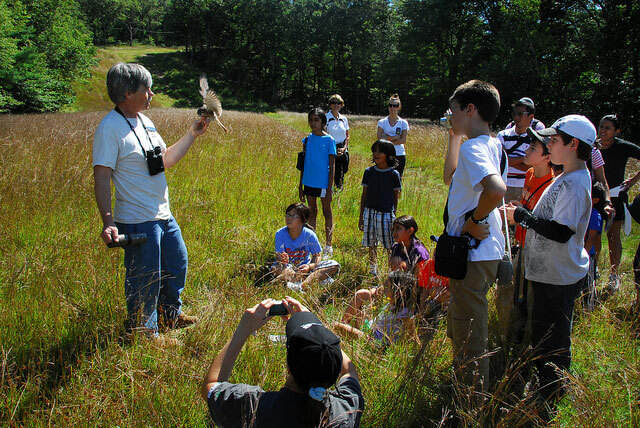 On top of that, some 235,000 adults and children enjoy sanctuary-led programs and classes every year, from bird and wildflower walks to cheese-making workshops to canoe and kayak trips. These wildlife sanctuaries also serve as the base for our conservation work. Dedicated Mass Audubon staff and volunteers have rescued cold-stunned sea turtles and snowy owls, protected some 150 endangered plant species, and protected lands that have provided safe passage for mammals, such as the bobcat and moose, to roam free. Share Your Photos: Snap a few amazing photos while you’re out and about on our wildlife sanctuaries. Share via whichever social media channel you prefer. Check in or tag the sanctuary and be sure to use the hashtag #sanctuaries100 when sharing! Be Inspired: Looking for a little inspiration to get outdoors? View a slideshow of our wildlife sanctuaries and find a sanctuary near you! Brush Up on History: Enjoy an interactive historical overview of Mass Audubon’s wildlife sanctuaries. Share Your Stories: Have a great story or experience to share from one of our wildlife sanctuaries? We want to hear it! Share in the comments or email us! Don’t Miss a Beat: Be sure to subscribe to this blog (at top right) to have stories delivered right to your inbox. This entry was posted in Sanctuaries 100 on March 16, 2016 by Hillary T..